Creating an easy budgeting solution is an integral step in achieving a strong level of engagement in your budgeting process. Most people are not accountants, and will only contribute to a budget once every quarter or year. By putting ourselves in the shoes of our users, we can create a budgeting solution that is easy for every user. The user experience begins the moment someone sits down at their computer to use your budgeting solution. We want them to be able to easily access, authenticate, and understand how to interact with the budgeting solution with the smallest number of clicks. 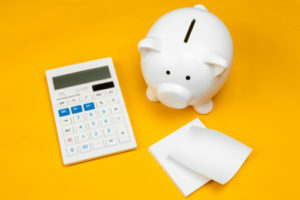 Intranet Link: Allow users to access the budgeting solution via a link from the intranet portal. During the budgeting cycle, this link is ideally located on the intranet front page. Single Sign-On: Eliminate the need for users to remember another set of login credential. Budgeting is a process that is performed in an order. To guide the user along the intended path, the budgeting solution should live and breath that order. Instructions: Each Module screen should include instructions to guide the user on how to complete the screen. Every description is valuable. No description is “obvious”. Descriptions which may seem simple or obvious to you are what makes budgeting easier for your users. Whenever I am involved in a solution design, or quality assurance, I always make the developers talk me through, step by step, the expected user experience. We start by sitting down at the computer and go through every screen. If you can create an easy budgeting solution where your users don’t need to think, their budgeting life will be easier, and consequently so will yours. Join guest speaker and author Brian Kalish from Kalish Consulting on Thursday, 2/21 for the webinar “Dynamic Planning in 2019”. Brian will walk through how organizations can most effectively adapt to change through preparation, management and reinforcement, plus the critical transformational role FP&A teams have within an organization to encourage faster and smarter decisions!